Not for Profits are emerging as unexpected pioneers of Shared Value - the business concept of creating economic value by addressing social problems - and finding great success, a high-profile US scholar and Shared Value expert has told a Melbourne conference. Not for Profits are emerging as unexpected pioneers of Shared Value – the business concept of creating economic value by addressing social problems – and finding great success, a high-profile US scholar and Shared Value expert has told a Melbourne conference. Speaking at the The 2015 Shared Value Forum, global thought leader Mark Kramer said Not for Profits were increasingly developing offerings that could be leveraged by business as part of a Shared Value approach. Kramer and co-author Michael Porter are widely considered to have played a key role in the movement’s development through their article Creating Shared Value, published in The Harvard Business Review in 2011. “[The movement] is growing in some unexpected places,” Kramer said. “When we wrote the article, we weren’t thinking too much about non-profit organisations and about civil society. We’ve seen tremendous uptake on the part of international NGOs. “We’ve formed a working group of 15 of the largest international NGOs…the CEOs of these groups are now meeting with one another every couple of months to share their thinking about how to create Shared Value strategies that enable them to partner with business in a different way, to develop for-profit efforts, with business, that serve their mission as a non-profit. “Of course, the power of business is the scale on which business can operate. Because around the world I see so many excellent and worthy non-profits struggling to get to scale…raising more money just gets harder. Kramer, the Managing Director of global advisory firm FSG and cofounder of the Shared Value Initiative, was dogmatic in his efforts to distinguish Shared Value from traditional corporate philanthropy and Corporate Social Responsibility. “80 per cent of the time, what [people are] describing to me, is philanthropy, not Shared Value.. and another third of the time, it’s about corporate social responsibility, not Shared Value. “It has also been broadened to cover so many corporate activities that really aren't shared value. “At its core, Shared Value is about business strategy. It’s not another name for Corporate Social Responsibility, it’s not another name for corporate philanthropy. “The purpose of a strategy in business is to create a superior economic return by creating a sustainable competitive advantage. “So much of the mind shift that is at the core of Shared Value is about looking at the markets, the places, the opportunities we’ve ignored in the past because they weren’t part of the conventional ways of doing business. Kramer described the development and integration of Shared Value principles as an “unending journey”. “It’s not a simple shift in mindset, it is actually a many-year journey,” he said. “With many companies there is a several-stage path, and it begins with aspiration. In many ways I think the most important thing that Michael Porter and I have done with the Shared Value article is to raise the aspiration of business to really solve social problems at scale…and that’s where it has to begin. The one-day forum, hosted by Australian Not for Profit, The Shared Value Project in partnership with NAB, brings together representatives of business, academia, civil society and other sectors to share case studies and explore opportunities to advance the movement in Australia. 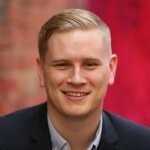 Kramer sits on the Board of Directors of The Shared Value Project, which was established in 2011 to connect business and community leaders working to define shared value in practice in Australia. The forum will also be the setting for the launch of the organisation’s first survey, The State of Shared Value in Australia, which will highlight the current state of Shared Value and business’ engagement in society. “Australian companies are embracing the shared value approach and recognising that achieving both social impact and business returns are not mutually exclusive,” Peter Yates AM, Chair of the Shared Value Project in Australia, said.